Avventure Bellissime | Pizza: The World's Favourite Food! 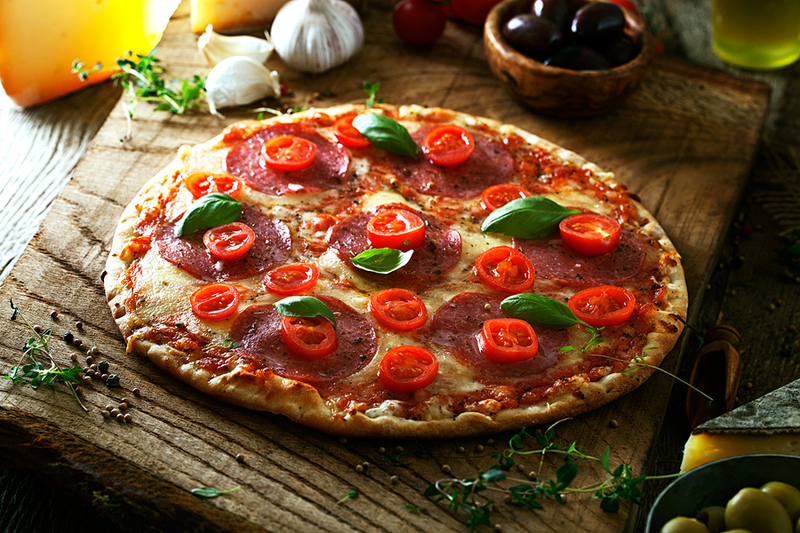 A History of Pizza: The World's Favourite Food! Whether you have been on an Italian vacation or not, you’ll likely know that Italy is famous for many things – its historical sites, the scenery, and romance and of course, its food. Italian food is beautiful and simple, made with the very best of local, fresh ingredients. Some of Italy’s food transcends borders and is recreated and loved outside Italy in countries all over the world. This is definitely the case for Pizza as the history of pizza shows. Pizza is thought to be around three thousand years old. The Egyptians, the Romans and the Greeks consumed this style of food – a flat bread with a variety of toppings which resembles the pizza we eat today. However, if we trace the history of pizza, it tells us it was the Italians who embraced it and introduced the rest of the world to the concept of pizza. Pizza became quite established in the coastal city of Naples. It was Naples’ working class population that ate pizza and honed the Italian recipe. The vast majority of this group lived simply at the coast, and they needed good food that they could quickly make and consume. An Italian flatbread cooked and topped with a variety of flavours and foods – usually oil and herbs – fitted this bill. In the 18th and 19th centuries pizza became the favoured dish of the Neapolitan people. They began to develop the recipe and how it was cooked. Street vendors took the cooked pizzas out onto the streets of Naples. Pizza history tells us this was usually done by a boy who balanced a tin stove full of pizza on his head and grabbed the attention of locals with his calls. After this in the later 18th century the pizzeria was developed – where pizza was prepared on a marble bench and cooked in a traditional wood fired oven. 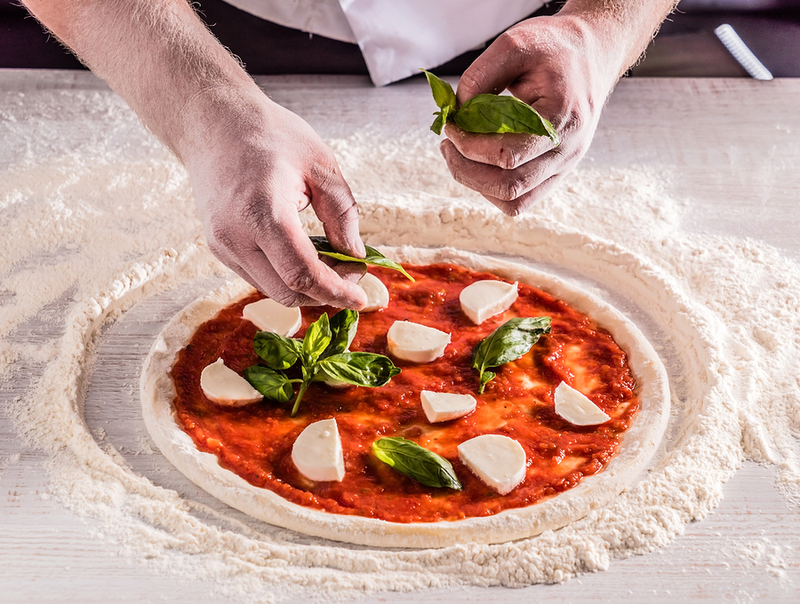 Pizza’s first brush with fame came in 1889 when King Umberto I and Queen Margherita, the heads of state of the newly unified Italy, visited Naples. They asked for the owner of a local Pizzeria Brandi, a pizzeria dynasty that survives today and was one of the first ever pizzerias in Naples, to visit them at the Royal Palace of Capodimonte. Rafaelle Esposito and his wife Maria Giovanna Brandi prepared three pizzas for the royal couple to try. One was a ‘white’ pizza with olive oil, cheese and basil, the second was with fresh sardines and the third was with tomato, mozzarella and basil. The latter was Queen Margherita’s favourite of the three – and Esposito named the pizza after the Queen as a result. And that was the origins of pizza Margherita. You can still see the letter the royal household send them at the Ancient Pizzeria Brandi in Naples. However, the pizza remained a staple of Naples, Italy until the late 19th and early 20th Century. The history of pizza shows that the concept travelled with the emigrants who travelled west into Europe and the United States of America for work. They took with them their taste for pizza and began making them for themselves in their new home. The concept caught the imagination of the locals and in 1905 the first pizzeria of New York, G. Lombardi’s, was established and licensed to sell pizza. Although it was almost certainly being sold without a license before then. Later in the 20th Century the popularity of pizza spread across the country and more pizzerias sprung up. Pizza became known as a fast food more than an ethnic food or a popular Italian food. And back in pizza’s homeland, its popularity as a favourite Italian food has grown and the recipes for toppings have continued to evolve. We believe that the best pizza you can ever taste is here in Italy – and the choice is huge. It’s come a long way since the Pizza Margherita was developed. You’ll find fantastic regional variations that capitalise on the local ingredients of the area. More modern trends have emerged over the last few decades too – from the Pizza al Taglio – a pizza rustica you can buy from street vendors which is full of marinated mushrooms and artichokes to sweet pizzas! The best way to enjoy Italian food is here in Italy. Come join us on an Italian holiday – your taste buds will thank you! If you are planning your Italian vacation, we would love to help. At Avventure Bellissime – we are Italian tours and Italian holidays expert. We can help you have the best possible experience of Italy – whether it’s on one of our tours from the home of Pizza in Naples to tours Italy’s many sights or an Italian vacation package. Visit us at tours-italy.com for more information.